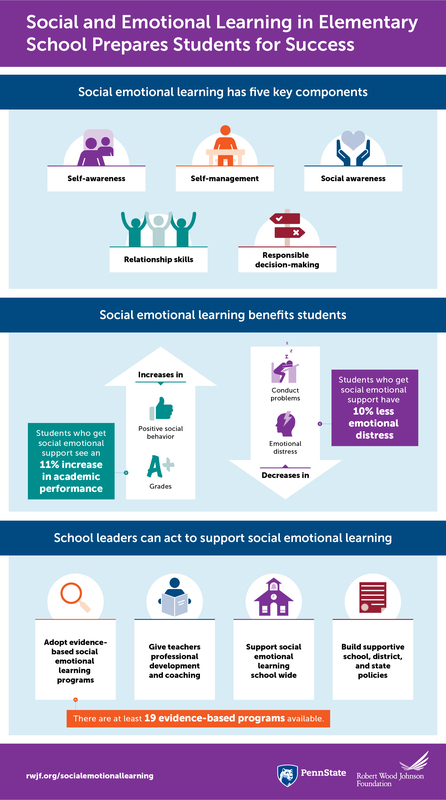 Social and emotional learning has five key components: self-awareness, self-management, social awareness, relationship skills, and responsible decision-making. Students who get social emotional support see an 11 percent increase in academic performance and experience 10 percent less emotional distress and conduct problems. Social emotional learning (SEL) programs aim to promote academic achievement and positive social behavior, and reduce conduct problems, substance abuse, and emotional distress.